Even in the ancient days, shields were not just a defense for a warrior to carry into battle. They were also stunning decorations, found in halls and castles. And this Decor Shield of El Cid recalls one that features the sigil of a Spanish hero. This shield was made for displaying, and it features the iconic shape of the heater shield, which was popular with warriors during the later years of the Middle Ages. This is a full-sized shield that is made with quality stainless steel metal. It is decorated with a polished gold-brass edging that is riveted in place, while the central face of the shield features a crackled white paint finish. The white crackle finish is broken into four quarters by a brown cross, and a triangular plate at the center of the shield features the coat of arms of El Cid Campeador, also known as Rodrigo Diaz de Vivar. It depicts a cross-sectioned shield that features a tower in the upper left and lower right, and rampant lions on the upper right and lower left quadrants. 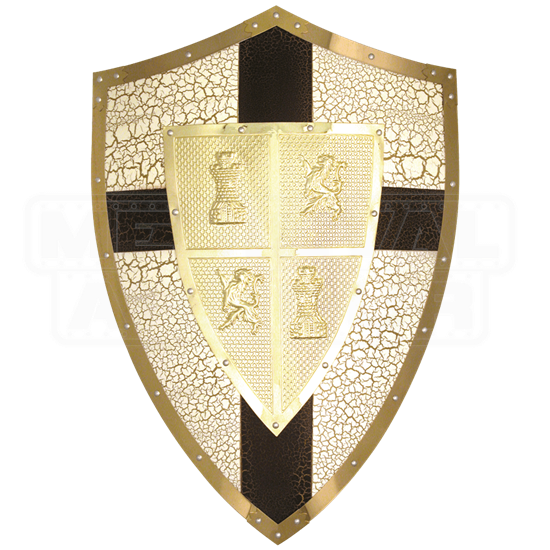 Its decorative design makes this a poor shield to carry into battle, yet its stunning look makes it a fantastic shield to carry as a costume accent, or to hang on your wall, in the comforts of your own castle! 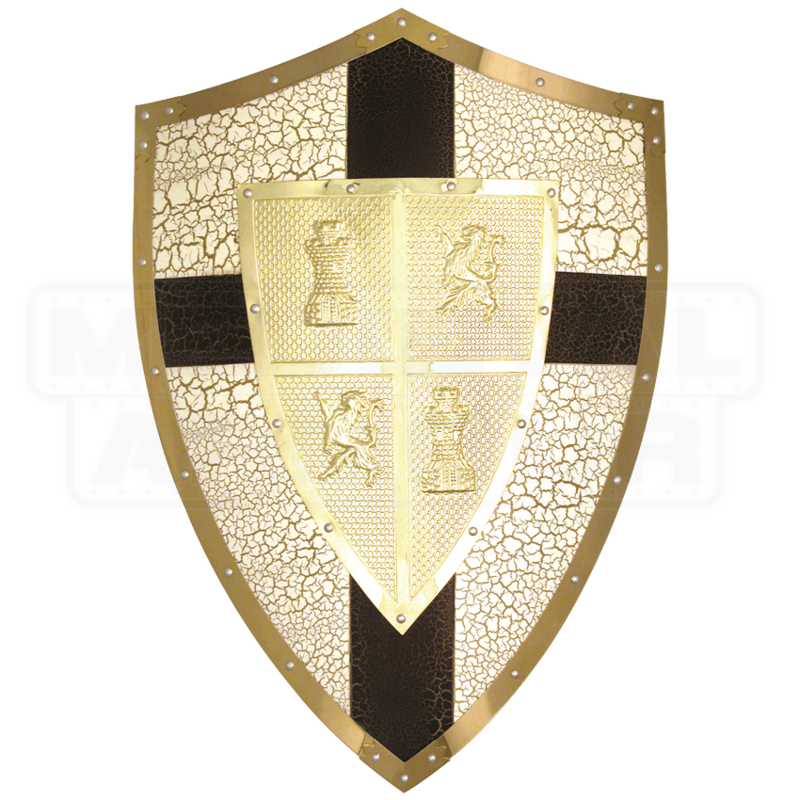 El Cid was famous for his valor and his prowess, and now you can celebrate this medieval warrior by decorating your home with this Decor Shield of El Cid.